Makeup is something that I'm not particularly interested in, but I am trying to broaden my horizons and buy some products I might enjoy wearing/using. But I'm a creature of habit, so only have a couple of items I use everyday. Below are the my makeup faves. (Beware, this is my best effort to make it look Instagram-worthy!). 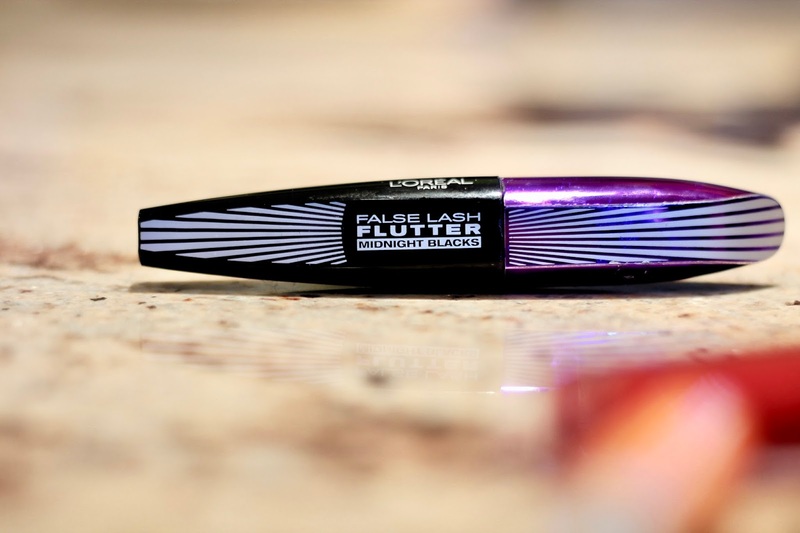 This mascara's great and makes my lashes uhh-mazing! I already have long eyelashes, but with this, they feel longer and more full. I loved the Benefit Roller Lash, but wanted to try something different so went with this and recommend it a lot - I don't even know if they still sell it, that's how long I've had it. I tried this as a sample from Boots, offered last summer. They discovered my shade was Desert Beige, and I wanted some ever since trying it. My lovely sister Sarah bought me some for Christmas last year and now it's the only foundation I wear. The formula is so nice on your skin and I sometimes even forget that I have it on - that's how light it is to wear. A little bit goes a long way, which is great to know as it is quite pricey, but definitely one I would recommend if you're in the market for a new foundation. Although I don't watch many of Tanya Burr's YouTube videos these days, she does having a cracking line of beauty products, quite a few of which I have purchased whilst on a peruse around Superdrug. 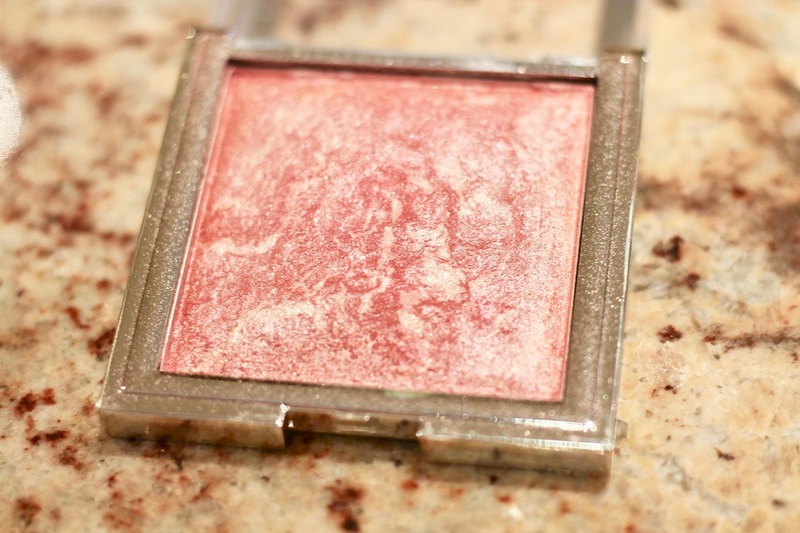 One of my favourites though is this Illuminating Powder, which I use instead of blusher some days, but can also be used as many other things. The shade is just perfect for my skin tone and the glitter adds just enough shimmer, rather than looking like someone who's just put their makeup on for a Year 6 disco. PS. Pro is Primark's range of makeup and brushes, and being the grand total of less than £5 (thank you sales! ), they're perfect for all my brushing needs. 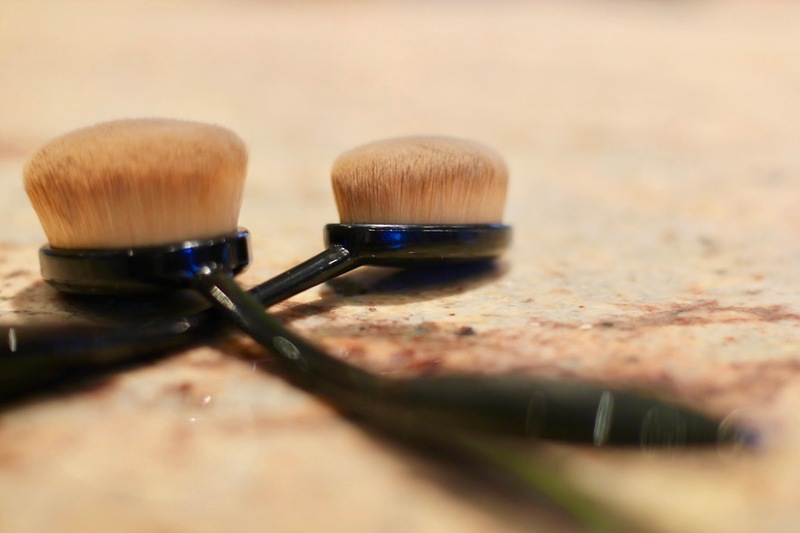 I use them to apply and blend my foundation and concealer, as both brushes are really soft and is actually quite relaxing to use on my face. The blending brush works perfectly and I leave the house without foundation streaks everywhere from where I haven't blended it properly, like I used to - it's so embarrassing! I have to admit, I never thought purple lipstick would suit me in the slightest, but my sister encouraged me to branch out and try it. 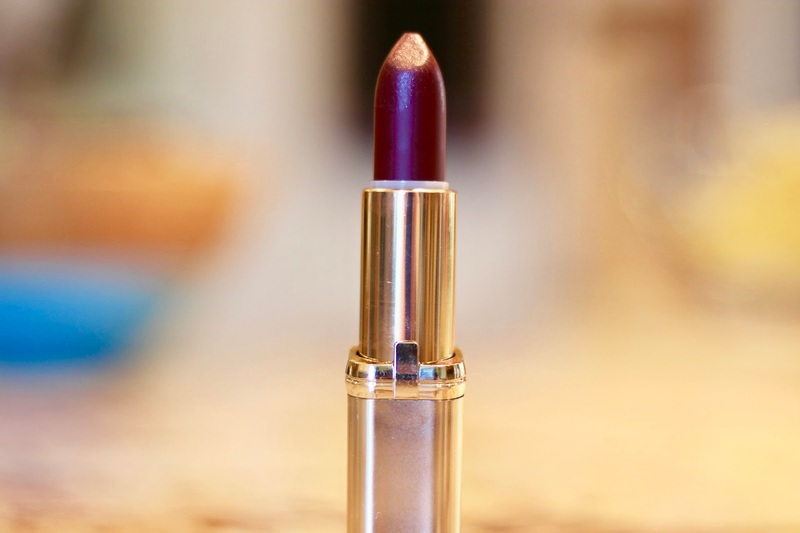 I now love it, and is one of my makeup staples as well as being one of my favourites. The formula isn't very drying and lasts really well on my lips. It also looks bold, but not outrageous. Application is really smooth too, which may sway you to get one. I wasn't sure at first, but now I love it. 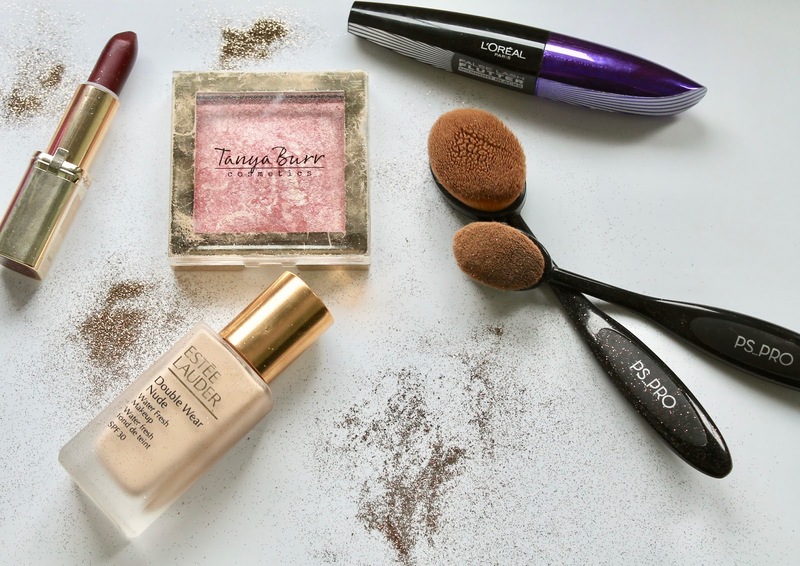 That rounds up some of my makeup favourites that will take precedence in my makeup bag. I hope you enjoyed reading and have possibly found a new favourite or two! 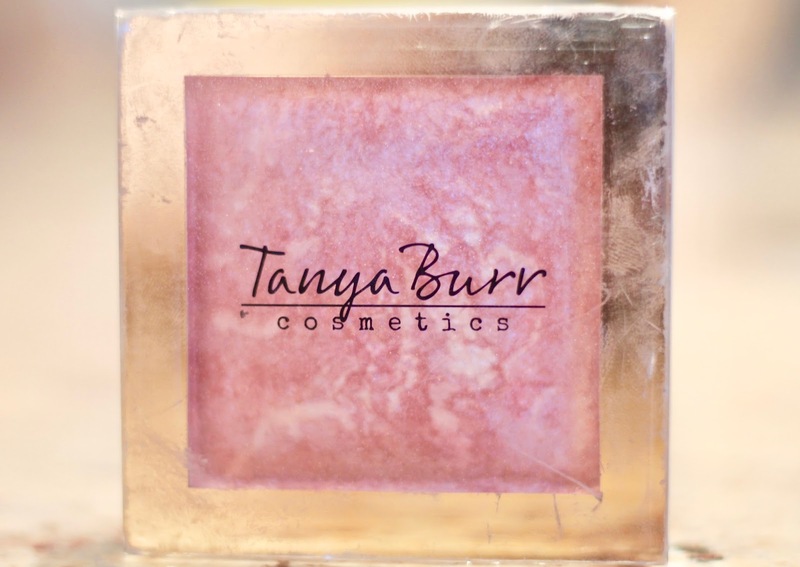 I love the look of that foundation and the Tanya Burr blush is GORGEOUS! I wouldn't wanna use it, it's too pretty! 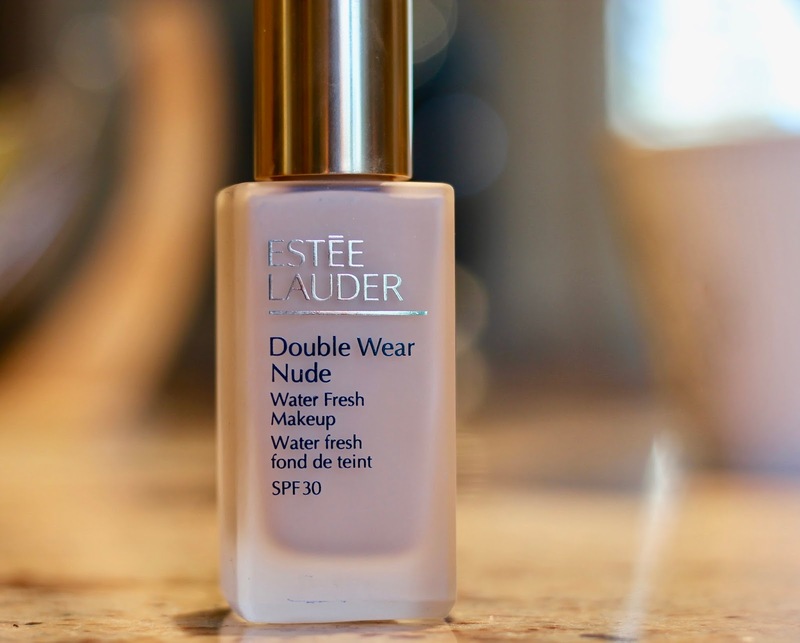 Estée Lauder double wear foundation is such a holy grail piece in my collection too! I've heard really good things about the Primark make up brushes!